I had the honor of sharing my journey with Jesus on Living Joyfully Free Radio! “Caroline Gavin is a Christian Life Coach, Speaker and Author of Purposeful Pathway: Your Journey with Jesus and host of Purposeful Pathway RADIO. As a Life Coach and the Founder of Purposeful Pathway, she helps others discern their vocational paths, live with purpose and align with God’s Way. The result of coaching is God-centered transformation and joyful, abundant living. Caroline is committed to helping others find their paths, live with purpose and walk God’s way. 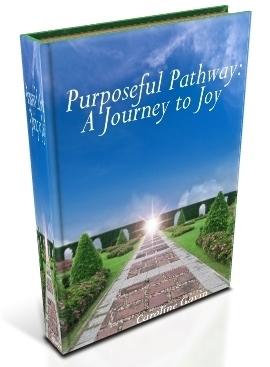 Refresh with her poetry and other reflections at Purposeful Pathway and sign up for a free newsletter and e-book: Purposeful Pathway: A Journey to Joy. You can connect with Caroline also via Facebook and Twitter. What are some of the highlights in your own journey with Jesus? Interested in working with a Christian Life Coach? Contact Caroline Gavin via caroline@purposefulpathway.com for a Free Christian Life Coaching Consultation.